!Update! - Took almost a year, but finally realized the MediaFire link was wrong. Fixed it! Happy Thanksgiving Day to all of my fellow simmers celebrating the holiday today. 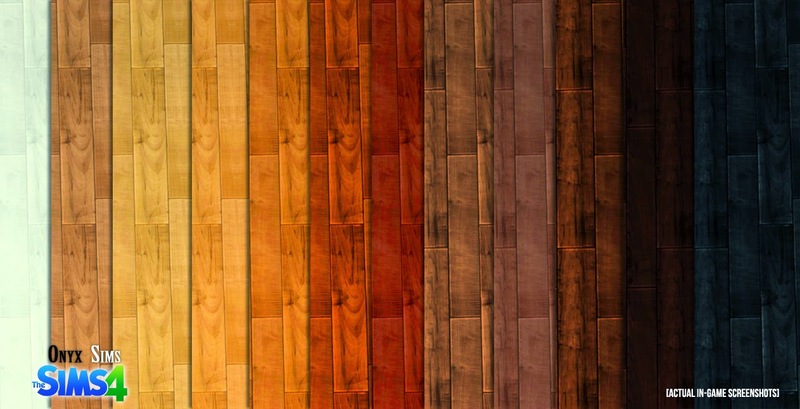 I created these wonderful wood floors a couple of weeks ago, however due to work and school, I am just releasing them today. Please think of this as a holiday treat and enjoy this download in its array of 12 colors. 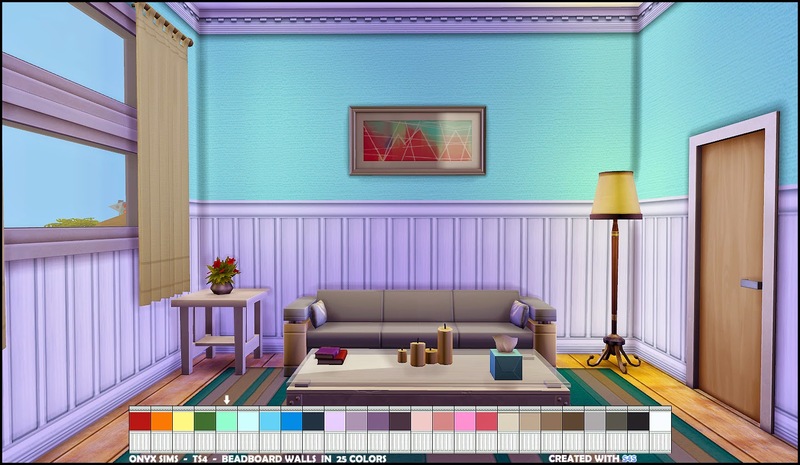 A new custom wall for The Sims 4 with bead board detailing. I applied a custom crown molding and foot-boards. This set has its own swatch and should appear under the Build > Walls > Paneling section. It should only cost $10 simoleans and comes in 25 colors and various shades. 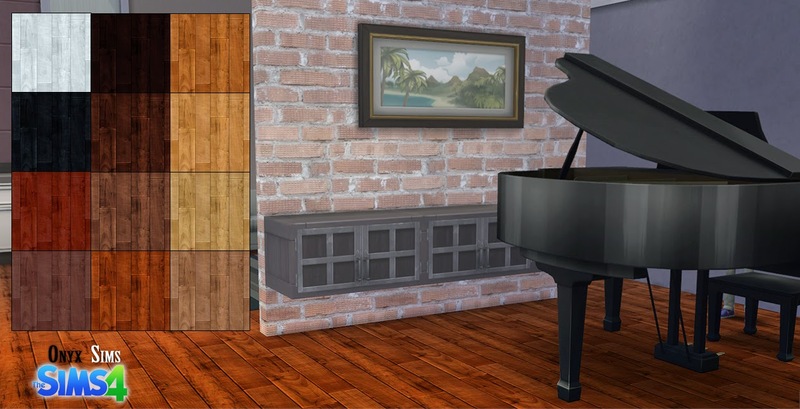 Old wood floors for The Sims 4. 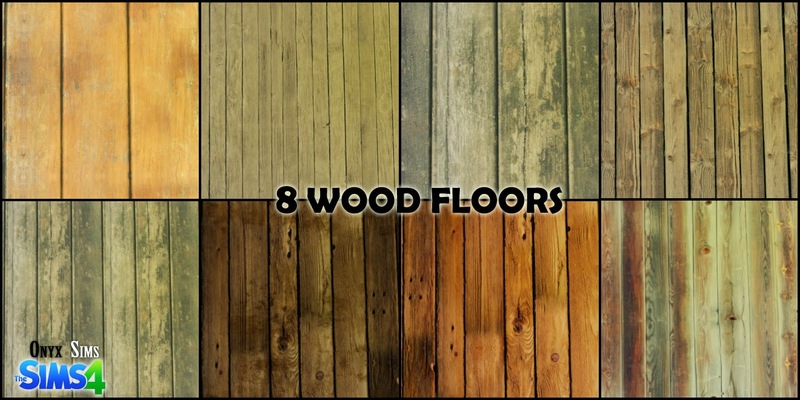 Above image shows the floors and how they appear in game.